How to assuage your SUV guilt? Buy an electric e-bike, of course! Need to assuage your SUV conscience? 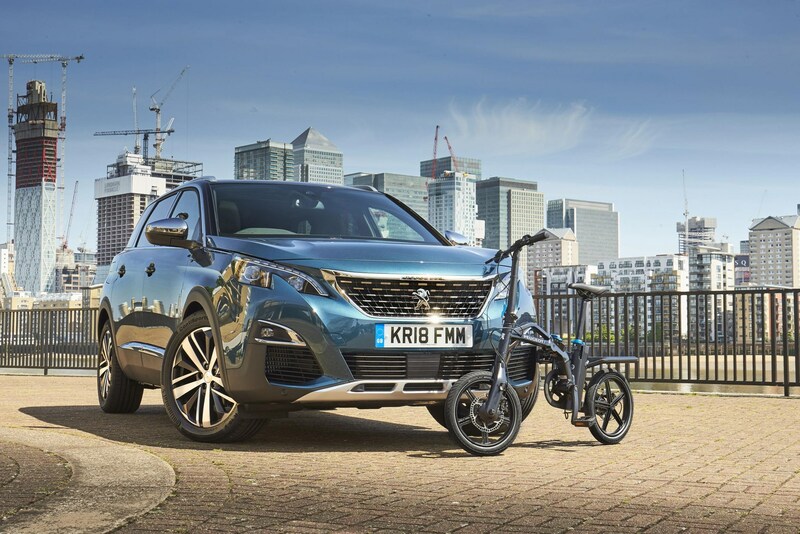 Peugeot has just the thing, with the launch of a new option on its 5008 - an electric folding bike that fits neatly in the seven-seater’s boot. 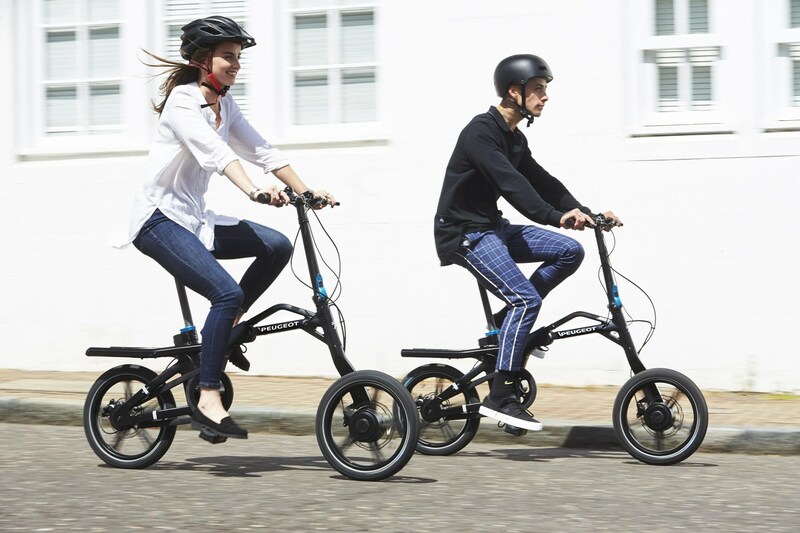 The eF01 Electric Bike is now on sale at UK dealers and slots in the back of the Peugeot 5008 crossover, offering those who may struggle to park near work a transport option over the last mile of their journey. The price? A chunky £1799, which may limit its appeal somewhat. The aluminum-framed, foldaway bike weighs 18.6kg, is claimed to be easy to manoeuvre around town and has enough charge to ride 18-25 miles. With a top speed of 12.5mph, it should nip around town easily enough and is certainly quicker than walking. In a survey of 10,000 motorists, 36% said they worry about being unable to park within a mile of the workplace. This problem is especially bad in London with 46% of drivers concerned about parking. 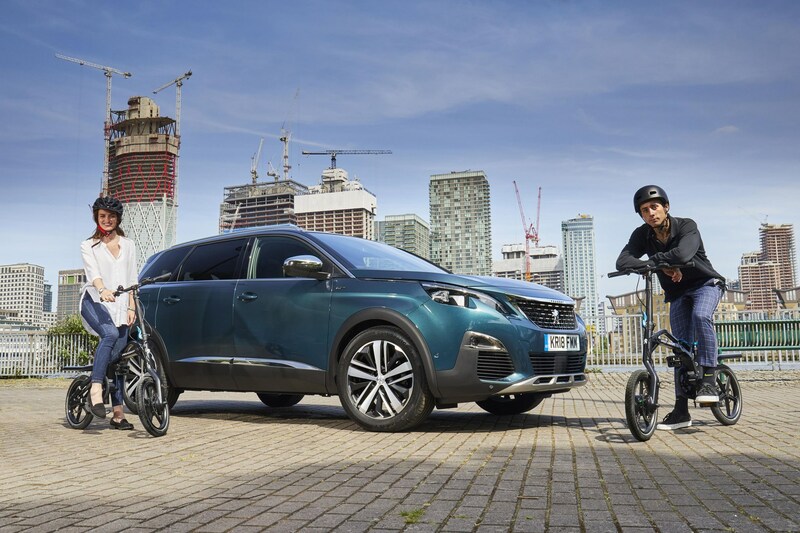 That’s why Peugeot has launched the 5008’s electric bicycle option. It charges on a mobile docking station - that's another £395 - in just 60 minutes and can easily be folded and unfolded in less than 10 seconds, according to the car maker. Peugeot 5008: now available with an e-bike for the last mile The eF01 Electric Bike is available at Peugeot dealers How to assuage your SUV guilt? Buy an electric e-bike, of course!